Interest rate risk: it affects to fixed-income investments, as bonds. Its value decline if the interest rate increased. Currently, central bank rates are extremely low, but it will take a long time till the curve change the trend. Currency risk: some investments are made in foreign stocks or bonds, or directly in currencies. Well, the exchange rate plays a big role to decide if you were right with your decision. Market risk: as a result of the movements in the markets, it can happen a downturn in your investment. Pity, you have chosen the wrong share or the wrong bond. Inflation risk: sometimes we are too conservative, because we want to avoid a failure, but prices increase and our investments have a lower performance compare with them. We are losing purchasing power. Some people call it “the risk of avoiding risks”. 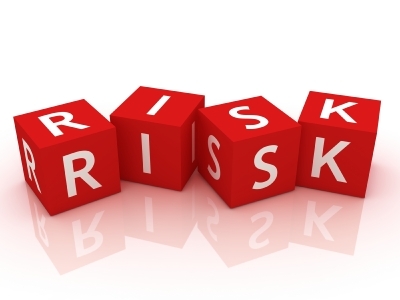 Personal risks: your life is a continuous risk and you need money to deal with them. Sometimes there are special situations (from happy ones, as a wedding or the purchase of a car, till unpleasant ones, as illness or accidents) in which you need to redeem your investments, but it can happen that the market situation is not the best one. Tax risks: with the current high shortfall in the developed countries, tax increases have been sometimes the immediate solution. Suddenly, your tax plans for your investments go to the trash. Political risks: tax risks are also in this item, but it also includes other government decisions and laws, as restrictions in investment products or in markets. General risk: we live in an ultra-connected world. This does not only mean Internet, but political events. Do you remember the market impact of the 9/11? Or the Iraq war? Or the Asian crisis at the end of the 90s? Is it possible to avoid them? No, absolutely. There are two chances to partly control and reduce them. The first one is good information, not only previous to the investment, but also as long as you keep it. Being well reported is a key to survive in this risky world. The second one is diversification. You can fail in a part, but success in the other. Could you mention other investment risks? This entry was posted in T-Advisorpedia and tagged investments, Markets, risk on July 11, 2014 by Oscar Garcia.